IFSA is headed to the Big Apple for June's Spring Regional event in New York City, NY! Adjacent to the Winter Fancy Food Show, the Spring Regional Event will give you the opportunity to enjoy complimentary food and drinks provided by our sponsors, relationship building, networking and more! Join your fellow industry colleagues at this FREE event to build relationships and learn more about how IFSA can benefit you and your business. IFSA membership joins industry professionals and organizations looking to achieve strategic, powerful results within the onboard industry. The benefits of IFSA membership are plentiful: professional networking, industry and role-specific knowledge sharing, collaborative benefits and industry progress. Learn more about how IFSA can benefit you. Thank you to our 2019 IFSA Foundation donors! The IFSA Foundation relies on generous donations to help students and current onboard services professionals further their education. We are grateful for the dedication and continued support of our donors. By furthering our relationship with the Airline Passenger Experience Association (APEX), we bring greater value to our members through an increasing our global footprint, opportunities to build additional strategic partnerships with like-minded organizations, and opportunities to establish ourselves as the industry’s global representative of the growing catering and in-flight/onboard hospitality market. Two of our industry’s oldest and most revered institutions have agreed a cooperative alliance. 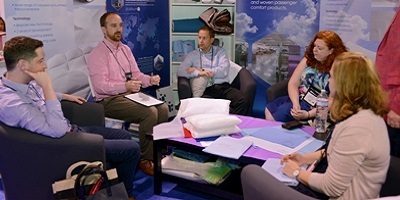 The International Flight Services Association [IFSA], founded in 1966 and the Mercury Awards, founded in 1982 now under the stewardship of SIAL Middle East [SIALME], have signed a Memorandum of Agreement to cooperate on a number of levels. This historic agreement will be formally announced in September at IFSA’s Annual Conference and a further announcement will be made at the Mercury Awards event in December. This aims to further enhance the opportunity for The Mercurys under SIALME and IFSA to collaborate and introduce initiatives that will support the industry. “2017 will mark 36 years for the Mercurys awards and will celebrate and accolade the best innovators within the travel catering industry. In IFSA, we have found just the right partner as this will help bring increased recognition for the Mercurys,” said Joanne Cook, Managing Director of SIAL Middle East. The Mercurys and IFSA recognise this alliance as a stepping stone for many collaborations in future for the advancement of inflight services industry. Follow / Join the conversation today!